The Witham - Yatton line once served a widespread rural community, a productive agricultural industry and a number of quarries. This diversity is reflected in the variety of train photographs from this beautiful area of Britain. 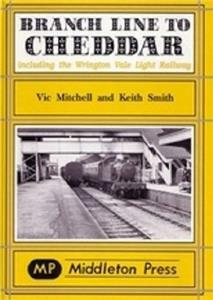 A long-forgotten light railway and a preserved steam line are also included.120 photograghs and 96 pages hardback.